Every human being’s first teacher is his mother. In fact, the first ‘music’ that a child hears is the mother’s voice. Have we ever thought about the great ladies who raised great artistes? The lives of these brave and timeless women are often a tale of struggle and evolution. When I look back, I cannot remember a day when my mother was not there for me, watching me practise, play, eat. In whatever financial condition we were back then, life looked beautiful because of her unconditional love. I grew up and moved on, but she remained in the background with her blessings. My mother suffered a lot because of the big joint family of Abba Saheb in Gwalior. She had no say in most family matters and was not treated with love and respect by other members who lived with us. 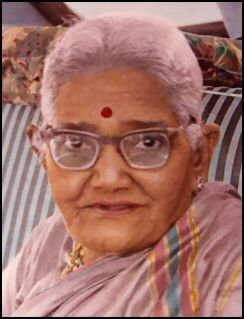 Recently, I was saddened to hear that Ustad Alla Rakha Khan’s wife, Bawi Begum, who was affectionately called Ammaji, passed away in Mumbai. She was, perhaps, the last of the artistes’ wives who kept the house open for family and friends without, in today’s language, an appointment. With the erratic timings of the profession, such warmth and welcoming can be expected only from a person with unsurpassed love, affection and understanding. I have had some of the most memorable evenings at Alla Rakha Khan saheb’s residence in Mumbai. It was always great interaction and great food. I pray to the Almighty that her soul rests in peace and the legacy of love and affection that she has left behind stays forever in their home. She blessed the music world with her jewels, Zakir Hussain, Fazal Qureshi and Taufiq Qureshi. I recall similar stories of the wives of Ustad Bade Ghulam Ali Khan and Ustad Enayet Khan. These ladies gave birth to the finest artistes who represented Indian classical music. I hope all artistes and their wives give quality time to their children. Artistes need to travel constantly, but it is very important to strike the right balance between professional and family lives. My wife, Subhalakshmi Khan, deserves the highest praise for handling my life the way she is doing it. She has been the best daughter to her parents, the best wife to me, the best daughter-in-law to my parents and the best mother to my sons, Ayaan and Amaan. She is in charge of the museum Sarod Ghar and the Haafiz Ali Khan Awards. She has been dealing with art and artistes for years, and has completely dedicated herself to my family. She makes immense effort in maintaining the Ustad Haafiz Ali Memorial Trust. Subhalakshmi began coordinating and managing my concerts soon after our marriage. Now this includes the management of Amaan’s and Ayaan’s concerts as well. She did not know how to cook at the time of our marriage, but today we all look forward to her cooking, as she has an exclusive touch in everything she cooks. She could not meet my father but has heard all the old stories of our family from my mother. 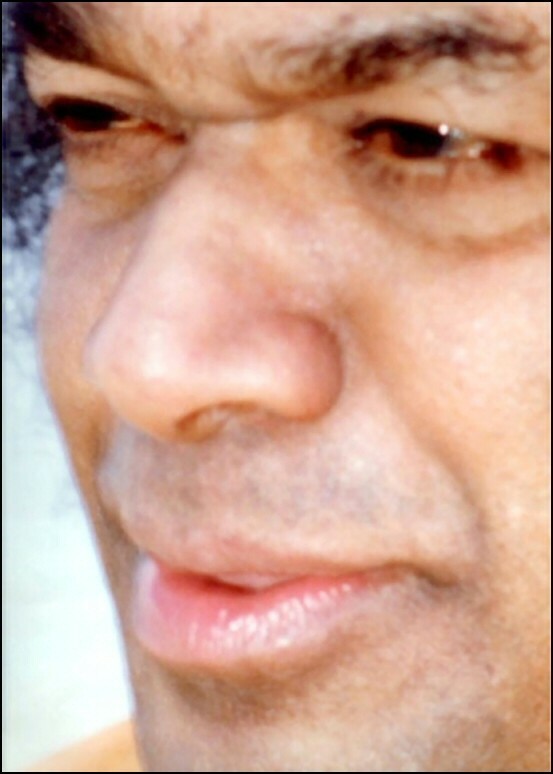 Sathya Sai Baba: More fragrant than the sweet-smelling flowers like the Jasmine and the Champak, Softer than the cheese and the butter, More beautiful than eye of the peacock, More pleasant than the moonlight, Is the love of the mother. An alumnus of Sri Sathya Sai University, Mr. Rakesh Menon joined the Brindavan campus in the 1994 for his Bachelors in Commerce. After this he pursued his Masters in Business Administration in the Bharatiya University in the state of Tamil Nadu. He began his professional career in 2000 and since then has served in the banking industry in India as well as in other countries in various positions. Until recently, he was in the UK working as the Global Product Risk Manager in JP Morgan, Europe. Currently, he is the Vice President, Risk Management, in JP Morgan, India and is based in Bangalore. This is the adapted version of a conversation with him in the studios of Radio Sai for the radio series “Fleeting Moments…Lasting Memories” in July 2008. “God could not be everywhere, therefore He made mothers.” But I had the unique fortune of having the Lord Himself as my mother. I was blessed to be at Swami’s feet between the years 1994 to 1997. 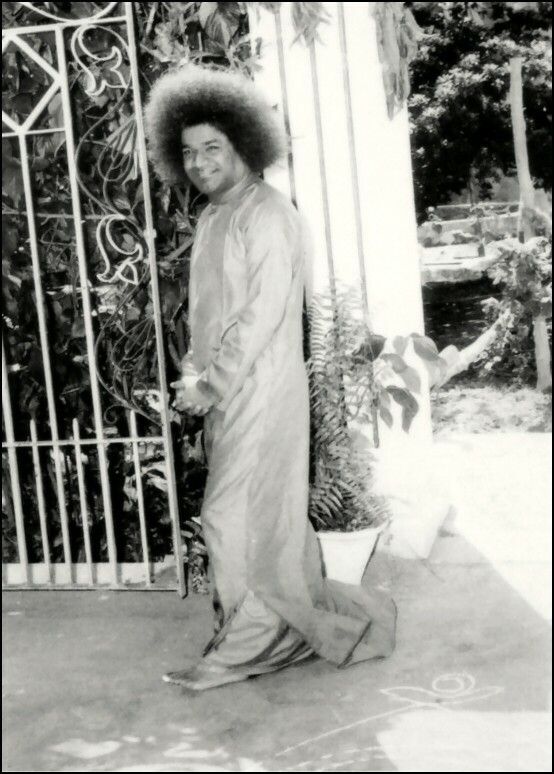 I was not a devotee before I joined Sathya Sai Baba’s University, neither was anybody in my family. But we had heard of Baba’s college as a unique institution which imparted human values. One of my uncles got me the application form and brought me to Puttaparthi, where I wrote the entrance examination. Swami, at that time, was in Kodai Kanal. Nevertheless, the general ambience of the ashram kindled in me the urge to learn more about Swami. I was fascinated by the discipline in the ashram; how things happened in clockwork precision, right from the stroke of the bell at five o’ clock at dawn. It felt wonderful to be a part of the Omkaram, Suprabhatam and the Nagar Sankirtan, and feel those positive vibrations. Furthermore, everybody maintained silence irrespective of whether Swami was physically in Prashanthi Nilayam or not. That made a deep impact on me. Thus, in the summer of 1994, when I stepped into the portals of the University at the Brindavan campus in Bangalore, I was yet to physically see Swami. Now I was not a devotee but already a Sai student. And I was very eagerly looking forward to the ‘Big Change’ that was to manifest in my life. I hailed from a village in Kerala and now a higher education in a different sort of institution in the city of Bangalore really appealed to me. It seemed exciting, but I was not aware of what I was actually in for. The first step to the change lay in my acceptance of Swami as God. But how could I accept someone as my guru and God, when I had not even seen Him? Wasn’t it foolhardy to invest my faith on a person, of whom I had only learnt from hearsay? So I decided to test Bhagavan! Testing Divinity and What an Answer! We were a group of three boys from the same place who wrote the entrance examination together. And all three of us had got through the test! There was one amongst us who had the habit of smoking. And as the hostel and ashram rules strictly forbade this habit, this boy would go out on the sly, unknown to anybody else, to take the vital puff! I looked at the hall; there were at least 5000 devotees seated there, waiting for Swami. It seemed Swami now had two more tasks to accomplish in such a massive crowd before two Doubting Thomases could accept His divinity. First, to censor the cigar boy and second, to trigger a Big Change in me. Two days later, this boy got the chance to wave the arathi to Swami. I was sitting close to him. 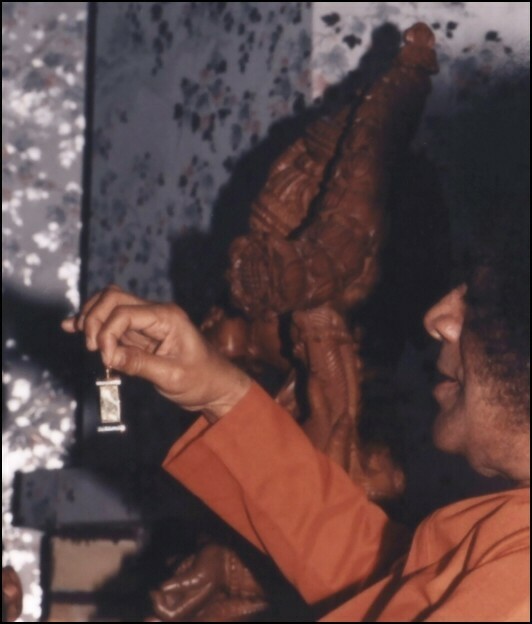 When the bhajans ended, Swami picked up the match box, lit the arathi, and told him in Tamil, “You said that if I ask you to stop smoking, you would do that.” He put the match box back into the boy’s shirt pocket and then continued as if nothing had ever happened. I was flabbergasted! Nobody else knew about that conversation except the three of us. And I can never forget the expression on this boy’s face – of utter disbelief, shock and fear. Sathya Sai Baba’s words were also heard by the third boy. And we all looked at each other, astounded beyond words. In a crisp one-liner, the Omnipresent Lord had neatly packaged the lesson of a lifetime; it was powerful and unforgettable. This was my first direct experience of Swami’s omnipresence. More was to come. Nine days later, I received a letter from home. It was from my sister and the contents went thus, “We were very strict with you because we wanted you to grow up in the right way and become a respected individual. Now that you are far away, we do miss you.” My sister and I were very close to each other ever since my mother died when we were very young. The letter made me homesick. And when, in the evening, there was a soul-stirring bhajan extolling Swami as Sai Ma (Mother Sai), I was reminded of my mother and was actually in tears. Soon, I was convulsing hard, with my head bent down I was trying to stem the cascade of sorrow that streamed down my face. A few boys nudged me during the bhajans saying that Sathya Sai Baba was looking at me. But I did not believe them. The Trayee Session followed soon after the bhajans. These sessions are close interactive sessions wherein Swami would give discourses and move closely among us, interacting and sharing valuable insights peppered with humor. It was a great opportunity for us to listen and learn both from Satya Sai Baba and as well as from the elders. That evening, I was sitting quite far away from the jhoola (the swing on which Swami generally sat). When Swami came, He looked around, searched among the boys, spotted me and then He asked me to come towards Him. Had I committed a grievous mistake I wondered, as I went up to Him? 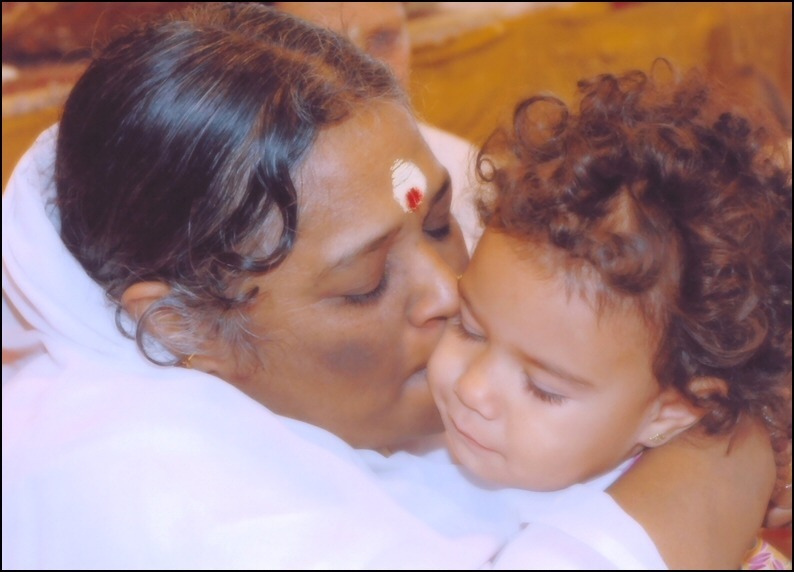 But when I came closer, Swami pulled me towards Him, held me in a warm, loving embrace, and said, “This boy lost his mother. This boy lost his one mother but I will give him a thousand mothers’ love.” And then, He created a ring for me. I was too overwhelmed, lost in His love, lost for words. And I was wondering how Swami knew my story; He was mentioning so many facts of my life to people nearby. This was the first time He spoke to me. That day, He touched my heart with His love. And I accepted Him as my Mother. His love was as tender as a mother yet strict like a father. And since I had no exposure to Swami and His teachings prior to my Brindavan years, He took upon Himself the task of ensuring that I was moulded into a Sai student. There were times when a Father’s guidance surged along with a Mother’s concern. One such day in Brindavan, I was sitting for darshan. It was a cold winter morning. Satya SaiBaba walked by me, stared queerly at my face, and then went on His usual round of darshan among devotees, accepting letters and blessing them. I was perplexed, praying and hoping all the while that I had not upset Swami in any way, in thought, word or deed. As I sat on after darshan, I was a troubled bundle of anxiety. And then I saw my commerce professor running towards me, holding something in his hand. As he came to me, he said, “Swami has sent this for you,” and handed me a Ponds cold cream! Apparently, Swami had noticed that I had dry skin because of the weather, so He sent the cream for me in His boundless concern. Even as I stood there choked for words, I learnt from Swami that day something which I consciously try to apply in my daily life – attention to detail! Swami attended to thousands of devotees that day – collecting letters, conferring blessings, bestowing guidance – and yet He had borne in mind my dry skin and sent the cream! What was a parched epidermis in front of a million other pressing concerns for Swami? 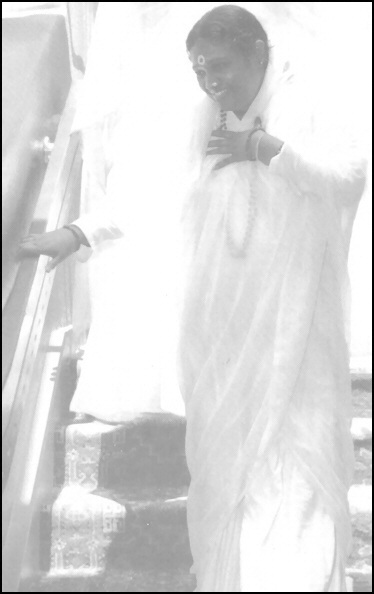 But that was the affection of the Divine Mother. Another of my memorable experiences happened when I was in Kodai Kanal with Sathya Sai Baba. Kodai Kanal is a place where one can witness the parental aspect of Swami like nowhere else. I am reminded of an evening when Swami actually gave money to all of us, students, and asked us to go and buy something for ourselves. I went along with Prof. Anil Kumar to the shop. On the way I thought to myself that here I was with the Lord, pampered with His love, and absolutely taken care of, while my family back in my hometown was still facing life in its coldest. So I thought I should buy something for them; that was the least I could do with the money Swami gave me. Therefore, as the professor shopped for something for his wife, I bought two pairs of earrings, one each for my two sisters. These were not very expensive, but I thought this was the minimum I could do. So I had these earrings packed and put them in my shirt pocket. When I returned, Swami instantly started looking about as if He was searching for something. He then came to me and asked, “What did you buy?” and before I could reply, He put His hand in my shirt pocket and took out the earrings. There was a look of dismay on His face when He saw those jewels, as if to say that they were not really of a good quality. And I was very disappointed, that I had not bought the right gifts for my sisters; that Swami had not approved of them. If Swami did not approve, then surely these are not really good, I thought to myself. That evening went by. That night even after everyone had retired, I was still ruminating over what had happened, and praying for my family. At breakfast the next morning, Sathya SaiBaba went around looking to everyone’s needs like He did everyday. And when He came to me, He started waving His hand. Out came two identical sets of earrings from the Divine Palm! Swami said, “Those were not good. Give these to your sisters,” and humorously added, “I gave you two identical ones because they might fight.” That was one unforgettable instance of pure maternal affection that stands evergreen in my memories! Time went on and I was not fortunate to secure an MBA admission in Sathya Sai Baba’s University and I was not sure about my future, because I was going to leave the protected shelter where I was so comfortable. This indeed was a huge transition and the following year I returned five times to Swami for support and strength which I desperately needed. And only Swami could have made that possible. When I completed my MBA in another institution, I started my career with HSBC Bank. The corporate environment was cold, emotionless and unforgiving. Although the stress levels were critical, it was to percolate, at least through team work. But the fact remained that it is mostly every man to himself, so completely different from the brotherhood I enjoyed in Swami’s hostel. And in this new scenario, one didn’t have any choice but to dive within and look for inner reservoirs of courage and strength. That is when I realized that whatever Swami has been teaching works in the corporate environment, that values gives one the growth. And practising Swami’s teachings did wonders for me – His directions on the right attitude towards work, dignity of labor, the right man management through leading by example, and practising what one preached. These simple messages of Swami actually helped me move ahead in my career right from HSBC in India, to the Middle East with Standard Chartered Bank and Citibank where I was handling quality assurance and operation risk audit, to the UK where I am currently managing quality assurance for risk, globally, for JP Morgan. A common thread runs through all these career positions. And it had to do with my values. Initially people didn’t understand why I behaved in a way which was totally different from the entire team of people around me. Nevertheless I clung on to the values I had imbibed as a student, especially the qualities of patience and perseverance. That helped me win the trust and credibility of the people I reported to, of my peers and my subordinates. I lead by example such that my subordinates were always willing to go an extra mile for me. I remember an audit wherein my team worked round the clock to turn around a weak control situation into a strong order success. Even though there was no overtime, they worked day and night because they did not want to let me down at any cost. The highlight was this: one of my subordinates came on the morning of his marriage to finish off a task! That was what I consider as success in a corporate environment. The challenge to manage the people and all the functions become more or less achievable. Tackling different individuals, impressing them by being a silent worker and leading by example – that is something which I really learnt in Swami’s college and I still hold on to it. And when people ask me about my personality and the secret of my professional growth, I only talk about my University, the ashram in Puttaparthi and my Guru and my Mother, Sai. What I am today is only because of Sathya Sai Baba. What words of gratitude can I have for my Swami, who, time and again, showered His love on me, treating me more like a son than a student? He has given me the love of a mother and the guidance of a father – a love that keeps me joyful and brings me back to Him, a love that gives me strength in my career and helps me face life and all its challenges. And I know that I never need to worry, for my Mother’s watchful eyes are always on me – caring, protecting, guiding, comforting and loving. The birthday celebrations of Easwaramma, the mother of Sri Sathya Sai Baba will be held at the Ramakrishna Hall, Wellawatta on May 3 from 4.30 p.m. to 8.30 p.m. with events including drama, songs of human values, dances and speeches depicting the noble services of Easwaramma. Former Vice Chancellor of the Open University of Sri Lanka Professor Uma Kumaraswamy who is a consultant to the Higher Education Ministry will be the chief guest. Professor Sunanda Degamboda, Chairman of the Central Council of Sri Sathya Sai Seva Organisation in Sri Lanka, Professor of University Kelaniya and Vama Sivapalan, Chairperson Mahila Samithi of Sathya Sai Seva Organisation in Sri Lanka will also deliver speeches. 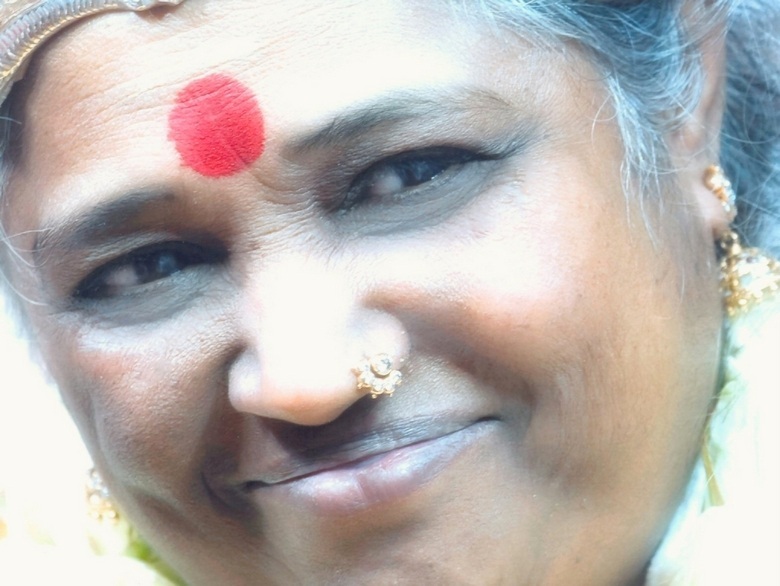 NOTE: Easwaramma Day Is Celebrated On May 6th At Prashanti.